In order to change Mouse Cursor in Windows 8, you need to follow the same steps as for Windows 7 or any other version of Microsoft Windows. In current version of Windows 8, you would need to understand how to open up the traditional control panel and locate Mouse Properties and rest is easy. 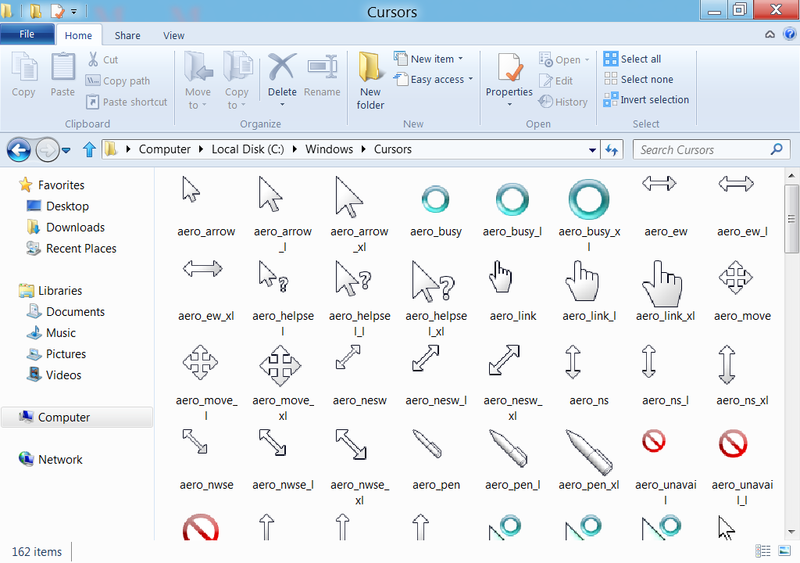 There are many types of mouse cursors and different cursors are displayed as and when required. A normal mouse pointer is a different mouse cursor and the mouse cursor displayed when windows or any other application is busy is different mouse cursor. 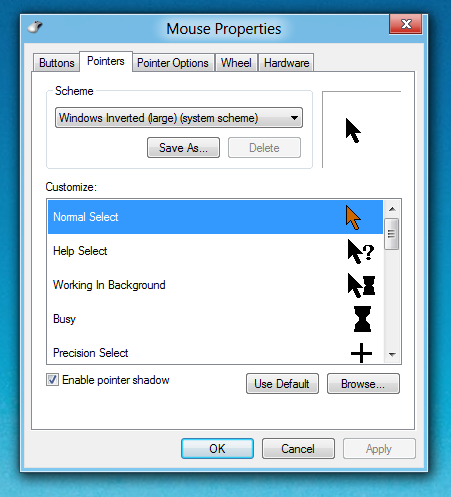 Similarily different mouse cursors are displayed when using drag / drop or even resizing application windows. Watch a video tutorial displaying how to change mouse cursors in Windows 8 or follow given below steps to change mouse cursors. Windows 8 allows you to change separate mouse cursors or even different mouse schemes. There are lots of inbuilt Mouse Schemes available in Windows 8 and the easiest way to change mouse cursors is select any of the Mouse Schemes present and click on the Apply Button or the OK button of Mouse properties screen. 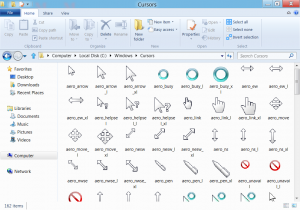 Mouse Cursors are files stored in the format of .cur (for Simple Mouse Cursor Files) and in .ani file (For Animated Mouse Cursors) in C:\Windows\Cursors. In case you have still not downloaded the trial version of Windows 8 & want to run Windows 8 on your hard disk or on a virtual machine, you can Download trial of Windows 8 totally free from Microsoft Website. In case you would like to automate mouse actions the Auto Mouse post provides few Mouse Automation Software applications that work fine on a Windows 8 computer.